The function which is in the form of f(x) / g(x) is called rational function. Simplifying rational function is nothing but expressing the the rational function in its lowest term or simplest form. The above four steps have been illustrated in the picture given below. 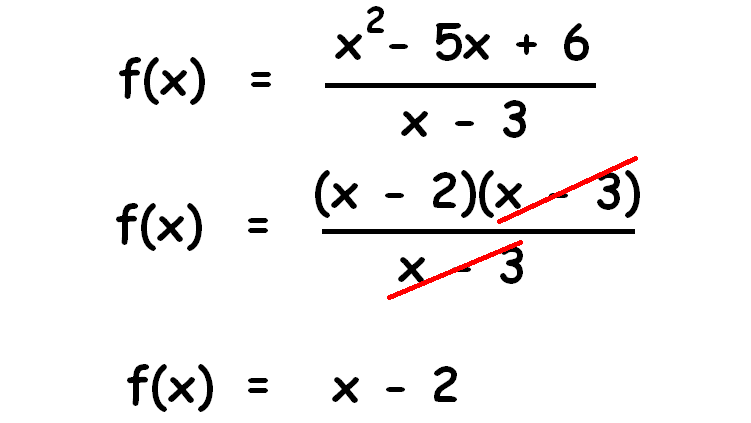 In this example we have x³ and x² . We have to split these two terms as much as possible. After having gone through the stuff given above, we hope that the students would have understood "Simplifying rational functions". Apart from stuff "Simplifying rational functions", if you need any other stuff in math, please use our google custom search here.